Minecraft is an immense open world game where players explore and mine a purposefully pixelated environment to build structures, fight monsters, and craft tools. It is highly addicting and immensely entertaining with a surprising amount of creativity. Minecraft is rated for Everyone 10 and older for Fantasy Violence. Let’s discuss the Violence. This game has absolutely no blood or gore and the violence level is quite tame. Players can make weapons such as swords and bows to kill each other or animals such as cows, wolves, and chickens. The game is not particularly violent however. In fact, it’s one game I actually recommend parents buy their kids. The player starts in the middle of a randomly generated world with nothing in their inventory and no instructions. The player is forced to figure out how to survive the nights against hostile creatures. Blocky Zombies, Skeletons, and Spiders come out at night and attack the player. By mining for supplies and building materials the player can build shelters and tools. With literally no direction on what kind of safe-house to build, kids are forced to be creative and as they play they’ll figure out how to make structures more functional and even start to impress you with what they can build. The game also offers a Creative mode. Where the player is given unlimited resources and cannot die. This mode allows the player to create huge, elaborate structures without danger. One could relate this with playing with Legos or blocks but on an immense scale. You can even turn off the monsters completely and let very, very young kids play. 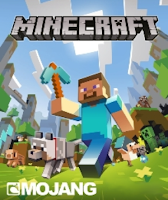 Another thing I should mention is the variety of platforms Minecraft is available on such as the Pocket Edition, available for tablets such as the iPad or Kindle device. Simple and portable, this is the smallest version with few features, Wi-Fi only multiplayer, and small worlds. 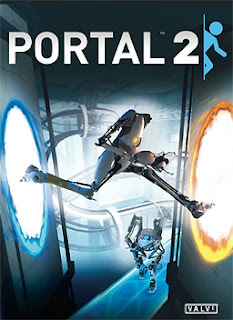 It is also available for the Xbox 360 Edition, boasting bigger worlds, more items, voice chat, and the ability to play with friends either split screen or over Xbox Live. And lastly the PC Version, the original release with almost endlessly large worlds, tons of items, possible modifications, and epicly large multiplayer worlds. The only real dangers of Minecraft come from playing online and the language you might hear from other gamers. In the Xbox 360 version, players can speak with one another via voice chat, though they have to already be Xbox Live friends or friends of friends to join the player’s game. In the PC version, there is no voice chat but there is in-game text chat. There is also the possibility to modify the game to allow Minecraft to play other game types. For example there are people who've created a full capture the flag game where players kill each other. Although the graphics remain the same blocky pixels and there is never blood or gore. Creative, fun, and quite clean, Minecraft is a great game. I would recommend this game for any Parents of Gamers. The Last of Us. Survial horror at it's best. And worst. 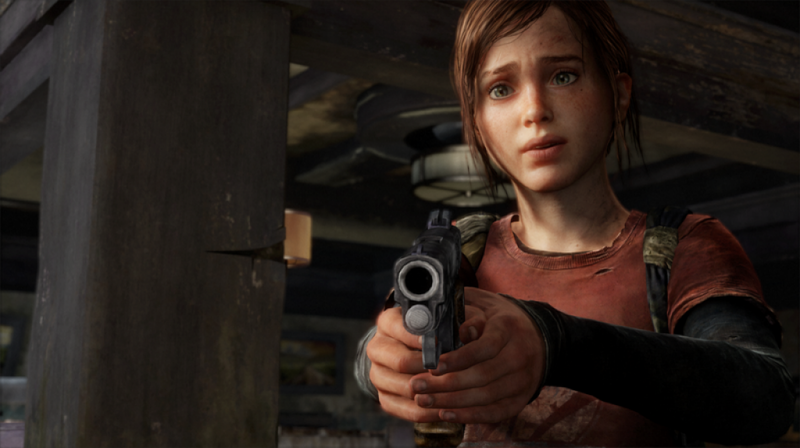 The Last of Us is being hailed as the very best of the best for Survival Horror fans. It’s rated Mature (M) for Blood and Gore, Intense Violence, Sexual Themes, and Strong language, but these barely scratch the surface of what is in this game. 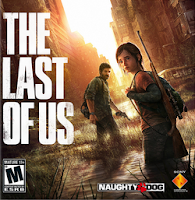 The Last of Us puts the player in the shoes of Joel and Ellie, survivors in a post-apocalyptic world where Zombie-like creatures have infected a portion of the population. Not only do you fight these scary “Zombies,” the game also pits you against tons of desperate and ruthless humans. It’s gritty, brutal, disturbing, and violent. Plenty of weapons such as guns, spiked bats, steel pipes, knives, and even fists are used frequently and there are a number of disturbing things to see both in cut-scenes and gameplay. The Blood, Gore, and Violence levels in this game are high with excessive splatter effects and occasional dismemberment or beheading. And whenever the player is killed the game portrays a short, but grisly death animation. Often, losing throats to zombies or being stabbed by humans. In one scene you see cannibalistic humans chopping up another human for meat. In another scene a character tortures and kills several men slowly. Very graphic. The game does not stop there. Characters are often executed without warning or pity. In one cut-scene, we see a very young girl get shot and then watch her die. In another a young boy gets infected, is shot, and then his brother commits suicide. In fact, as you go through the game there are a number of implied suicides found in houses, occasionally mentioning children. The disturbing content is high and the brutality does not seem to stop. The language is terrible with F-bombs and other curses shouted almost non-stop. The sexual themes however are brief. The character Ellie, who is only 14, finds a dirty magazine and talks about it briefly. Later in the game another character implies that he’d like to “get close” to Ellie but talking about it is as far as the Sexual themes go. Overall I would say this game set out to create a disturbing, gritty, and violent take on a post-apocalyptic world and did a fantastic job. But that being said it is an incredibly Adult title. Children being killed, Excessive Gore, Disturbing Images, Strong Language, and Nonstop violence are what make up the gameplay for this title. I wouldn't recommend the Last of Us for anyone under the age of 18.